Truly impress and delight your recipient with the Forever Yours bouquet. 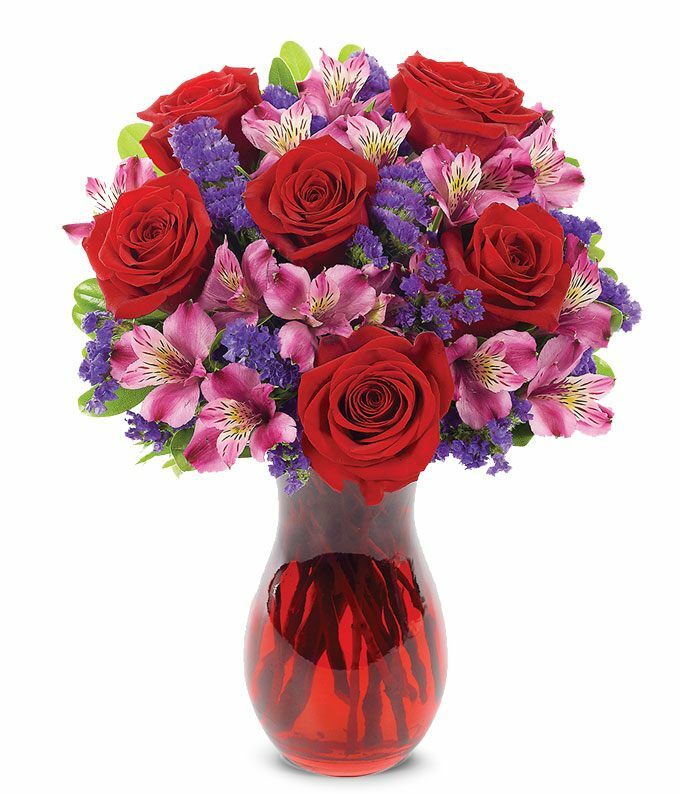 Purple alstroemeria and red roses beautifully combine with purple statice and delivered in a red swirl vase, with availability for the same-day. This bouquet is sure to convey your deepest love whether for an birthday, anniversary or Valentine's Day.